Europe 2013: And then we ended up in Narnia. Also known as Venice. 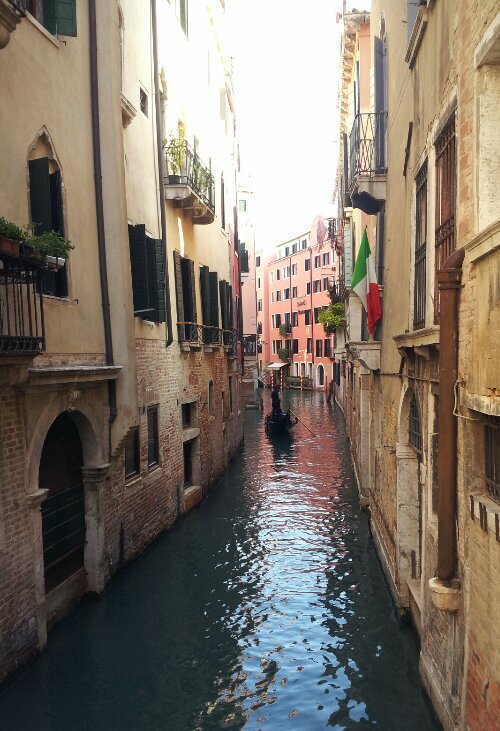 Venice is like another world. It starts when you take a water bus from the airport. And then there are boats everywhere. Boats for absolutely everything and anything. Ambulance boats. Police boats. Firetruck boats. Mail boats. Subway boats. Taxi boats. We even saw a hearse boat. Boats, boats, and more boats. It’s incredible. 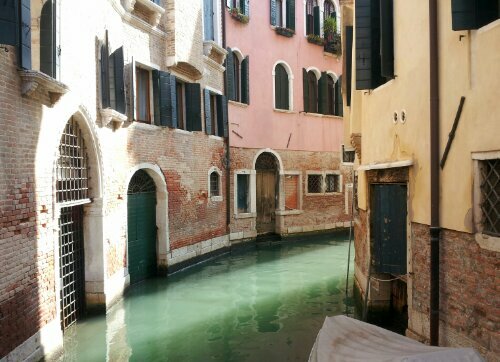 We didn’t stay directly in Venice. Instead we stayed on the island of Lido–super close to Venice, but Lido has beaches. It was pretty nice watching kids build sandcastles when just a couple days ago we were wishing we had brought warmer clothes for Germany. From the Lido dock to our B&B, we must have walked past at least eight gelateria. Definitely no shortage of gelato in Venice. Gelato and pizza–can’t go wrong there. 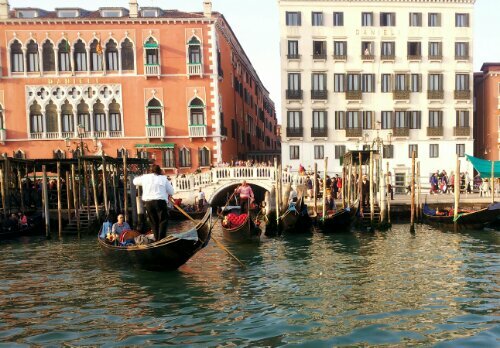 We also took the vaporetto line 1 that goes straight through the main canal. If you grab a seat outside like us, you’ll have an INCREDIBLE view. We did this a couple times–once during the day and again at night. It’s sort of impossible to not feel completely relaxed. And well, we’re in Italy, so pasta is a must, right? We chose a delicious yet impossible to find pasta place called Alfredo’s Fresh Pasta To Go. They’re not kidding when they say the pasta is fresh. Because they’re making the pasta itself (what we would call the noodles), right in front of you. So your pasta isn’t cooked until you place your order. Plus, it was super affordable! We’re putting it right up there with the doner from Germany. It was THAT good. And after having a mini panic attack getting to the train station in Venice, (the water transit service went on some sort of strike this morning. Like you would. ), we are now on the train to Roma! Previous Previous post: Europe 2013: Paris in a Blur. Avec des Macarons. Next Next post: Europe 2013: Gelato 101. From Italia.